Maison A.E. 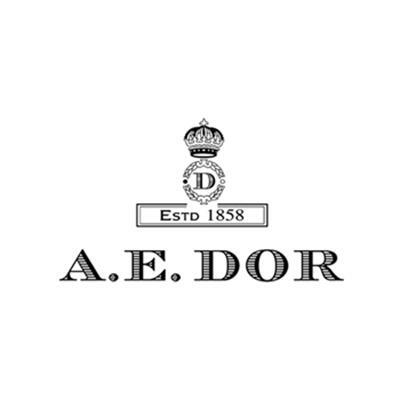 Dor was founded in 1858 as a family-run Cognac house dedicated to producing some of the world's finest distilled spirits. Through generations, this has remained the work of this firm, currently run by the Pierre-Antoine Rivière, who succeeded his father, Jacques, 10 years ago. Experience, talent, dedication and the gift of time now contribute to this offering of Cognacs ranging from the smooth Selection VS to the more than century-old #11. While the family vineyards are given over to the production of an amazing range of Pineau des Charentes, the Rivière's are master blenders and purchase grapes for distillation or young Cognac for ageing and blending in their cellars. At every level of quality; VS, VSOP, or XO, the Cognacs of A.E. Dor are aged well beyond the legal minimums, giving their Cognacs great depth of aroma and flavor and a remarkably mellow character.